Basic Attention Token (BAT) is creating new opportunities in the world of digital advertising. But what exactly is this token? Why is it a necessary solution for today’s digital advertising systems? The rise of the Internet has changed the entire advertising ecosystem. The web gives advertisers and publishers incredible amounts of information about their audience. Unlocking user information has led to radical improvements in the efficiency of the user attention marketplace. Unfortunately, today’s digital advertising ecosystem has become a victim of its own complexity. Giant platforms like Facebook and Google are taking around 73% of all ad dollars. Fraud has multiplied and invasive trackers have made the web a less user-friendly space. How does this affect advertisers? User attention is priceless for advertisers… but it is misvalued by the current digital advertising system. The time is ripe for a new online advertising system. Digital advertising needs increased respect for user privacy and improved value of published content. BAT and the Brave browser offer a solution to the user attention crisis. BAT uses the blockchain to facilitate monetization between users, publishers, and advertisers. How does this work? 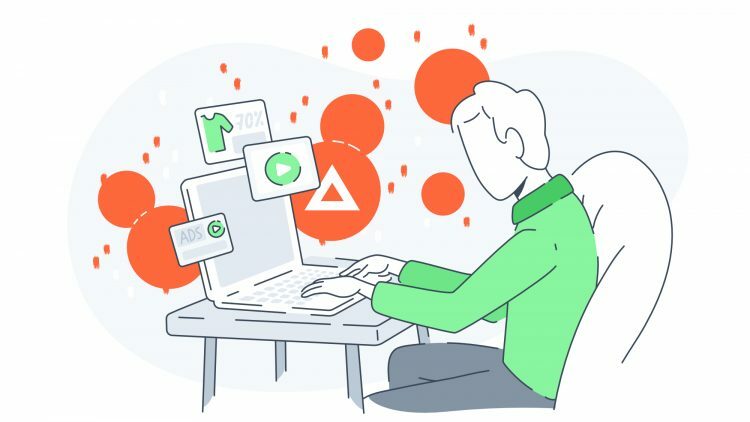 Built on the Ethereum platform by the developers behind the Brave web browser, Basic Attention Token (BAT) is designed to reinvent digital advertising using blockchain technology. BAT protects privacy while serving as a means to more accurately value users attention – both for advertisers looking for targeted audiences and publishers looking for content subscribers. When a user interacts with an ad, they are paid in BAT. Publishers who post popular, high-quality content that successfully drives users to interact with ads are also rewarded with BAT (in addition to a conventional compensatory structure). Youtube creators especially benefit, as their audiences can view videos ad-free and reward creators with BAT. BAT uses Ethereum to establish confirmations of actual user attention that advertisers can count on. Cryptographically-verified smart contracts stored in the blockchain allow advertisers to verify their target audience without infringing the user’s privacy. BAT and the Brave browser address three key elements of the current attention economy. You’ve likely noticed ads tailored to subjects you’ve searched for on Google, content you’ve liked on social media, and even your email and private communications on social networks. For some, this creates an uneasy feeling. Many have even taken steps to fight back against surveillance with concern to their privacy. The Brave web browser was designed with the intent of eliminating many trackers that slow down data speeds and negatively impact users’ experience. Brave’s browser does this while BAT currency creates a new means of exchange and compensation. BAT functions as a method for micropayments where users are paid for their attention to sponsored content. Alternatively, users can make micropayments in BAT to avoid having to deal with ads while still accessing high-quality content online. Hundreds of millions of users have installed ad blockers on their browsers. Some ad blockers disrupt tracking and surveillance, while others simply remove display ads and pop-ups from the user’s experience. Many ad blockers do both. Ad blockers present an existential problem for the revenue structure of much of the internet, which is based on tracking and advertisements. BAT offers a solution to this growing challenge for publishers and advertisers. Pay people for their attention and get paid for your content if you forgo ads. YouTube-based creators are already accepting BAT micropayments as an alternative to ads. If you’ve ever installed an ad blocker, you’ve likely visited websites that took notice. Publishers, advertisers, and more have set up ad blocker detection apps. These apps ask users to stop using ad blockers and even lock content behind gates until ad blockers are turned off. This battle between users, publishers, and advertisers could be averted with a more efficient advertising marketplace. BAT is the means of exchange that can facilitate this marketplace. What’s next for Brave and BAT? If the digital advertising market shifts toward BAT, the value of the tokens has the potential to rapidly grow. BAT can give individuals and organizations access to the ground floor of a major shift in how information is shared and consumed over the Internet. Brave has put BAT into action by empowering users and creators to use the cryptocurrency easily. The Brave browser is now logging viewing time for creators who make content viewed on Brave. Logged viewing time allows BAT micropayments to flow directly into the wallets of YouTube creators. YouTube stars are extremely popular with fans and tend to operate “off the grid” of official culture. There has been discord in the creator community due to Google’s revenue sharing policy changes that many consider unfair. 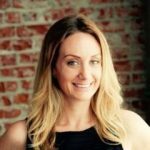 BAT gives these creators a new revenue stream and a way to operate outside the dominant ad-based model. The incredible reach and influence of YouTube stars could also lead to wider adoption of BAT in the future. Internet privacy and trust are major concerns for today’s web users. Are we being over-monitored online? How do advertisers acquire a fair share of their user-attention efforts? Together, BAT and Brave aim to solve these issues. Innovations like BAT will predict the real potential for cryptocurrency – including its ability to solve problems that no other type of currency can tackle. Curious why over 1 million users worldwide trust Uphold for their digital wallet? Sign up for your free account today.